To put things into perspective, earthquake data is one of the main reasons the USGS exists, and yet they are now refusing to cover a significant amount of data. When an agency which provides such vital data, as the USGS has in the past, and then suddenly decides to stop, this is a sign that there is a large, official problem that needs to be addressed. The National Data Buoy Center now may be more reliable with regard to tsunami warnings, than USGS website and other American agencies, as many of these American services no longer cover such warnings. For this information, you can go to the National Data Buoy Center (look for those in "Event Mode"), click a buoy that is highlighted in yellow or read, and read the data from there. You can also click "View Event Details" on each buoy to view the data. 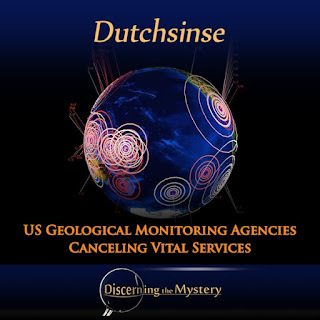 According to Dutchsinse, the USGS and US warning agencies are refusing to give full and complete reports on these geological events. These are the same people who harassed him for offering information that conflicted with mainstream information many months ago (and they still have yet to legitimately refute the data he provides). 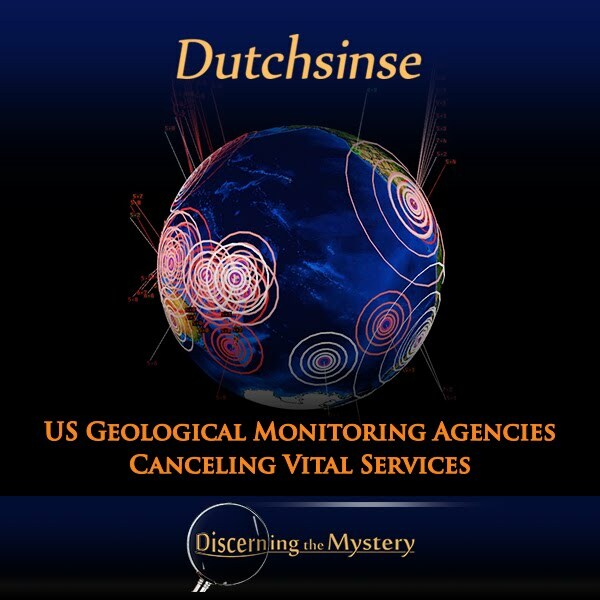 It is uncertain what such cancellations of service may mean for these United States agencies. If I were to speculate, I would say that, given the situation of water contamination in multiple cities (which may have been related to sabotage), the new "plan" by the "powers that were" may involve attempting to scrap the infrastructure of the U.S. as a whole and to somehow start over. This is pure speculation, but if it were the case, I can see how water contamination and cancellation of vital service might play into such a plan. I don't at all believe there is any cause for worry. Such a situation may easily be prepared for, but if this is the case, it is important to remain informed on such matters. With events progressing as they are, this may be a prime opportunity to wake up the masses of people to the fact that our national and global situation must change, and that each of us, instead of sitting at the sidelines, must play our role in making a positive difference to this end. We appreciate what you do, Dutch. Stay humble, and keep up the good work.